The next version of Apple’s tvOS makes watching cable channels easier. Why not cut out the middleman? On the surface, Apple TV seems increasingly focused on cable subscribers instead of cord cutters. Since its launch last fall, the fourth-generation Apple TV has added several features that provide more convenient access to “TV Everywhere” apps (such as WatchESPN, FX Now, and HBO Go) that require a cable or satellite login to access. Siri is becoming more effective at finding what you want from these channels; the download process is becoming more streamlined; and with the next version of Apple’s tvOS software, logging into these apps will become much less of a hassle. While these are useful improvements, it’s hard to believe cable subservience is Apple’s true goal. For a device that’s supposedly the “future of television,” its best features are becoming awfully dependent on a cable subscription, which in turn requires a cable box. Can Apple really reinvent TV when its hardware is relegated to a secondary input or a spare television? With tvOS, I believe Apple is laying the groundwork for something bigger. Either Apple is preparing for a future where more cable companies offer streaming-only TV service—sans cable box—or it’s hoping to offer its own standalone streaming service that provides access to a bundle of TV Everywhere apps. 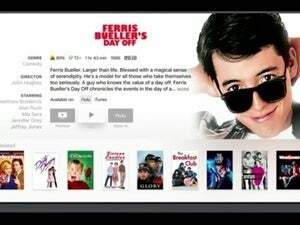 Rumors of an Apple streaming-TV service have persisted for years, often with the assumption that Apple would reinvent the TV interface along with it. While Apple has reportedly pressed pause on developing its own service, the interface reinvention is happening anyway through the existing cable app ecosystem. 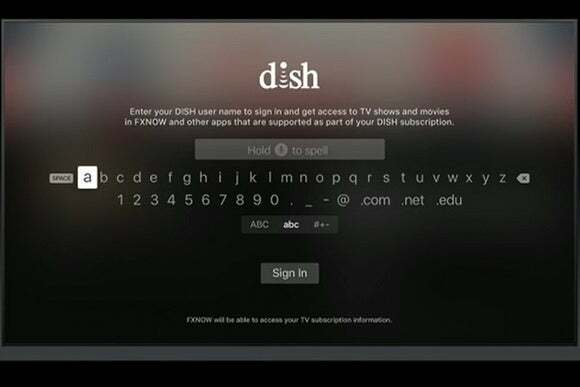 Single sign-in will authenticate all TV Everywhere apps through Apple TV settings. Apple is also extending the usefulness of TV Everywhere apps through Siri. Compared to other streaming devices, Apple’s voice assistant is better at searching genres and fine-tuning results, and the number of TV Everywhere apps that support Siri is steadily expanding. As for live TV, tvOS lets you jump into telecasts using Siri voice commands, so you can say “Watch ESPN live” instead of digging through an app. Still, tvOS already goes a long way toward rethinking how we navigate traditional TV channels. If Apple is able to secure streaming rights to these channels, it won’t need to reinvent the wheel. None of this is to suggest that an Apple streaming service is imminent. Last we heard, Apple had gotten frustrated with the deal-making process, especially for local broadcasts that require agreements with individual affiliate stations. I’ll also acknowledge that a bundle focused on TV Everywhere apps might not be a complete solution for everyone. Today, the apps from major broadcast networks (such as ABC and Fox) don’t offer live local feeds, which means no local news and no football on Sundays. Some networks don’t offer TV Everywhere apps at all. But Apple may not need to offer its own streaming service to succeed in making Apple TV into the hub of your living room. Instead, Apple may be preparing for a future in which TV operators relinquish control of the set-top box, and start to offer more flexible streaming-only packages for devices like Apple TV. Time Warner Cable and Charter are already experimenting with cable-box-free plans, and Comcast recently announced a plan to bring full channel access to smart TVs and streaming boxes. 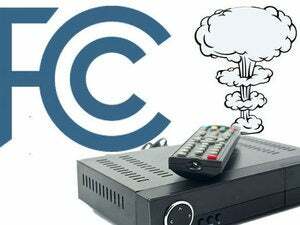 In this scenario, you might use the full-blown Comcast or Charter app to access certain channels or shows. But over time, the Apple TV’s app-based approach would take over, thanks to powerful features like Siri search that make navigation easier. The number of TV Everywhere apps would grow, and eventually you’d no longer miss the cable guide or the clunky remote controls of your youth. 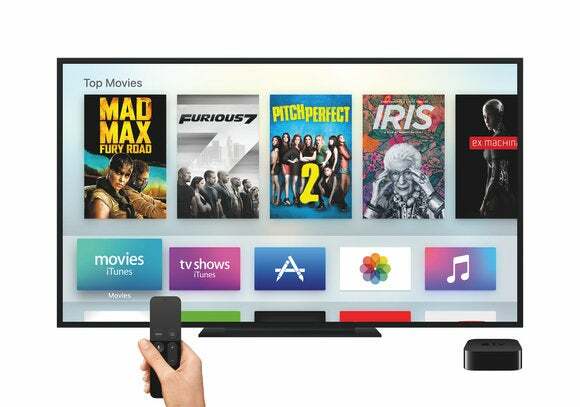 Instead of playing second fiddle to the cable box, Apple TV would become the main attraction.